The information essential to TAGWALK to process and manage your registration request is indicated by an asterisk (*). In their absence, TAGWALK will not be able to process your request. Other information requested for which the answer is optional is intended to know you better. You are free not to answer it. The information collected by TAGWALK (headquartered at 21 rue Dauphine - 75006 Paris - France) is processed to process and manage applications for registration. 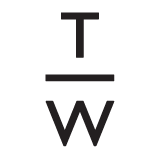 With your express permission, this information is also used to send you the TAGWALK newsletter. The recipients of the information are TAGWALK, responsible for their processing and its service providers who participate in the management of the www.tag-walk.com site and its database, all subject to a non-disclosure obligation. The personal data collected is not retained beyond the processing by TAGWALK of your registration with the exception of your names, first names and email addresses if you have expressly agreed to receive the TAGWALK newsletter. Only this data will be stored until you have requested deletion from TAGWALK and in any case for a period not exceeding 3 years from collection. In accordance with the law "Informatique et Libertés" of January 6, 1978 amended, you have a general right of access, rectification and deletion of all personal data about you. You also have the right to oppose, for legitimate reasons, the processing of your personal data. You can exercise your rights at any time by email sent to info@tag-walk.com or by sending a letter to the postal address TAGWALK, 4 rue des Petits Champs - 75002 Paris - France. You must prove your identity by attaching a copy of your identity document to your application and indicate in your email or mail, your name and surname.